Works well as a general cleaner. It is water based and can be used during play. It takes quite a bit of work for belt marks to come off however. It would be better to use one of the higher strength cleaners for that. Unfortunately those have not been approved except before and after. It does leave a tacky surface after cleaning. Only downside is the small bottle is a bit pricey. I bought just to try it out. Next time I'll go for the 32oz. 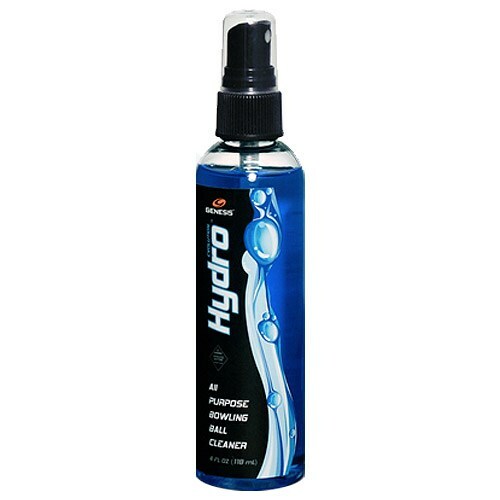 Due to the time it takes to produce the Genesis Evolution Hydro Blue 4 oz. ball it will ship in immediately. We cannot ship this ball outside the United States.